Volunteer in Tanzania with KIVOLEX and get a chance to explore this beautiful forgotten country of East Africa. Tanzania is officially called The United Republic of Tanzania. 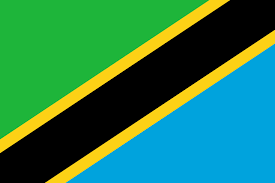 Tanzania is a unification of two countries Tanganyika and the Island of Zanzibar. In 1964 Tanganyika and Zanzibar decided to unit and form this beautiful country of Tanzania. Your decision to volunteer in Tanzania will provide you with an opportunity to explore both countries i.e Tanganyika and Zanzibar. Located in East Africa, south of Sahara Tanzania is among the countries in the great lakes region. It is bordered by Kenya and Uganda to the north, Mozambique and Zambia to the south, Rwanda, Burundi, DRC to the west while India ocean provide beautiful beaches to the eastern side of the country. Africa highest mountain, as it is called the Roof of Africa, Mt Kilimanjaro is located on the Northern side of the country. The current President of Tanzania is Dr. John Pombe Magufuli. The presidential term in Tanzania is five years and president Magufili’s term ends in 2020. Tanzania is the biggest country in East Africa with its population estimated to be around 50 Million people. The population consists of Black African’s Majority and minority Asian community. Information the religion distribution among the people is not available as its not included in the census but its is believed to 60% Christian, 30% Muslims and the remaining 10% other denominations. Once you have decided to register in our volunteer in Tanzania program you should expect to be placed in one of these two big cities of Tanzania i.e Dar-Es-Salaam or Arusha. Tanzaia is a big country dived into almost 30 regions with more than 150 tribes. The Capital of Tanzania is called Dodoma City, whoever the country’s economical city and the biggest city is Dar-Es-Salaam. 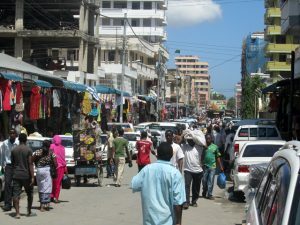 Dar-Es-Salaam is where our volunteer in Tanzania program is implemented. Dodoma remains the government city, where government offices and the president is located. If you have deiced to volunteer in Tanzania you deserve to know the country’s history. Tanzania was first colonized by the Arabs who came to the cost of East Africa in early 1840. However during the crumble for Africa time Tanganyika fell under the colonial power of the Germany. The Germany colonized Tanganyika for a while until the start of World War 2. During world war 2 Germany used some soldiers form Tanganyika to help Germany fight the war. At the end when the Germany lost the war most of its territories where also taken away from Germany. Tanganyika being one of the Germany territory was also taken from Germany and given to the British who were also colonizing neighbors Kenya and Uganda. So now Tanganyika was officially the colony of British Until 1961 when Tanganyika got independent through their first President the Late Mwalimu Julius Nyerere. I am pretty sure you find this history interesting, you should now plan to volunteer in Tanzania to learn more of this history. Tanzania has a lot to offer in terms of tourist attractions and that’s why our unique Volunteer in Tanzanian program is always recommended. This program will give you a chance to explore and climb Africa tallest mount and the world tallest free standing mount, Mt Kilimanjaro. 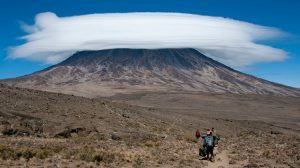 Mt Kilimanjaro Attracts a lot of tourist every year and this is also your opportunity to visit this world heritage and wander. If that is not enough the island of Zanzibar offer tourist beautiful beaches to relax and swim and more over tourists get an opportunity to go for several tours offered in Zanzibar. Our Volunteers from our volunteer in Tanzania program specifically recommend Stone town tour in Zanzibar for other volunteer to also try. Our past volunteers says Stone town tour is such an interesting tour. Volunteer in Tanzania program has attracted hundred of volunteers from all over the world since it started. If you are thinking of what to do during this holiday time then volunteer in Tanzania is something to consider. This program will give you an opportunity to not only enjoy the beauty that Tanzania has to offer but also an opportunity to give back to the society. Western world has been privileged compared to developing countries and its time to share what God has given you in abundance, by deciding now to volunteer in Tanzania.